Our family took a last-minute trip to the mall today to get some volleyball shoes for the girls. As soon as we entered it was like Christmas to who other than Dwayne. He gets all excited when he sees the gumball machines and before he could ask if anyone else wanted a gumball he was already getting a couple for himself. 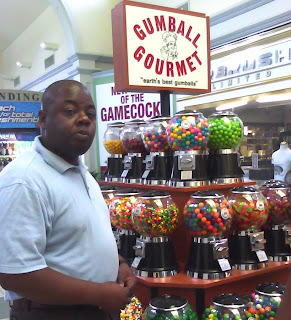 Look, he has cheeks filled with gumballs. He got all bent out of shape when Brie put her quarter in one of the machines and got two for the price of one. He actually pouted *shakes head* Y'all shoulda heard him smackin' loudly. He said it was very necessary to chew like that. Like I say, if I never had a son I would not have missed out on much. Hehehehe, I knew this post was about Dwayne before I even opened it. I think our hubbies would get along fabulously. hahahaha!!!!! he is too funny! 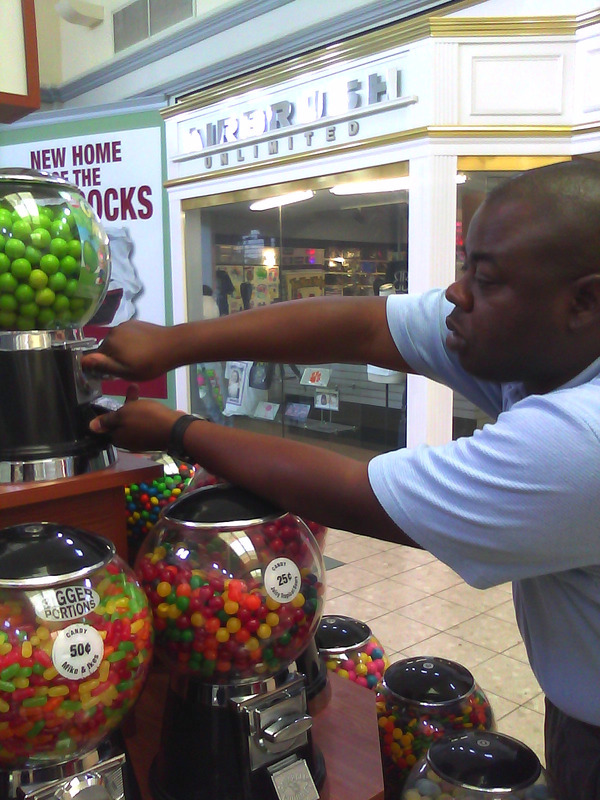 I am the same way with the mike and ike jar at the candy stations!